How's this for a BlackBerry 10 phone with a physical keyboard?!! As we clarified again this week, we know the first BlackBerry 10 phone will be a full touchscreen design with touchscreen keyboard, while the second BlackBerry 10 phone will feature a physical keyboard. 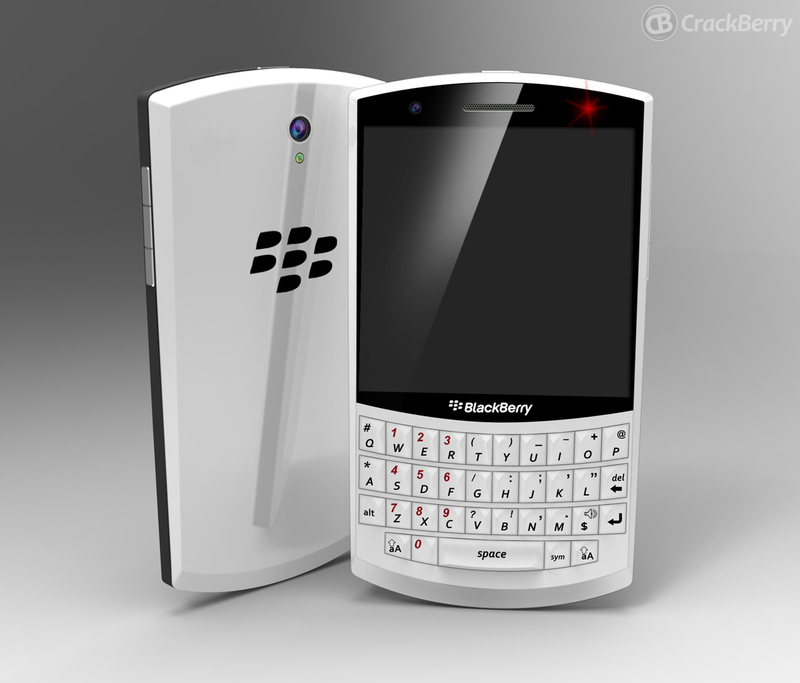 Reading through the comments and watching the discussion in the CrackBerry forums, I know *a lot of you* are waiting and dreaming for that second phone - a BlackBerry that combines the amazing keyboard of the Bold 9900 with the QNX platform power of BlackBerry 10. 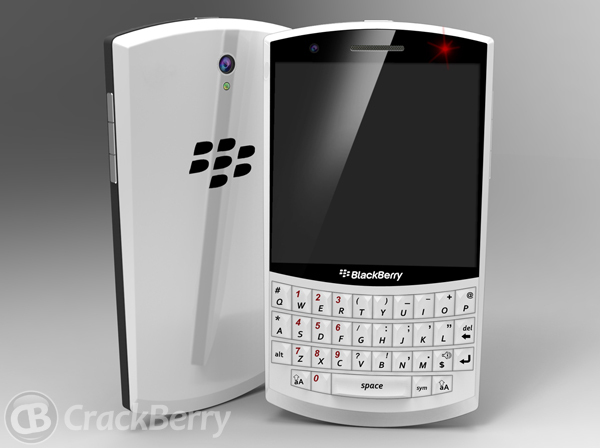 Above is my vision for the next full keyboard BB10 phone. In white just for you, Kevin! I designed around the 9900 keyboard and kept to the most likely scenario regarding height, width and depth of the device. BlackBerry's have traditionally been organic with soft edges but I believe the new BB10 devices will be more angular with crisp surface transitions. This will allow RIM to break from the past and reinvent the brand with a new aesthetic. Think P'9981 crossed with 9900. It's important to note that this concept is an attempt to capture what the next phone will most likely be. A realistic approach in the sense that it could be introduced today. Thanks for doing this one up in white John... so hawt!! One of the things I think we can definitely expect from a physical keyboard BlackBerry 10 phone is a taller display than we have see on models like the Bold 9900. With BlackBerry 10 you lose the need for the row between the display and keyboard which has the trackpad and menu / back / call buttons, so losing this should open up more room for a taller display (you'll still need to save some empty space for gestures as John did here). Be sure to click on the image above for a larger version, then drool, then sound off in the comments with your reactions!